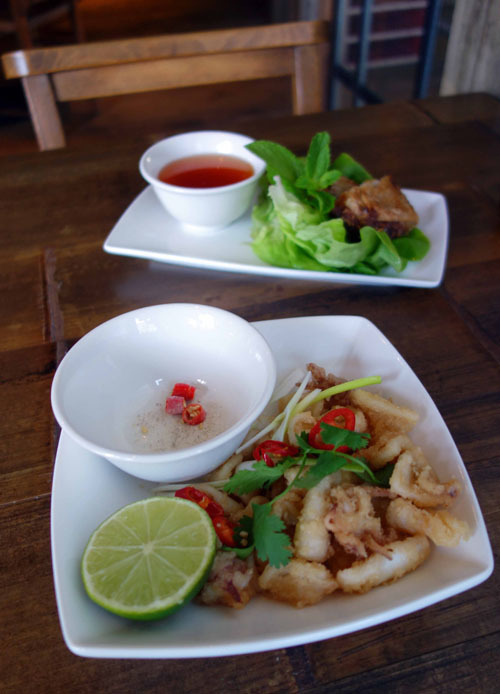 A Faux Lunch between Foes at Pho Restaurant? What do you do when an ancient rival contacts you about meeting for lunch? Well, Sunny friends, I said ‘yes’. My foe lunch date at Pho Restaurant was absolutely Pho-nom-e-nal! Pho Restaurant’s Head of Marketing is a Florida girl just like me. But, I learned through our email exchanges that she’s a University of Florida graduate. That’s a huge problem for this Florida State University girl, pho shizzle! I was skeptical about an invitation from my school’s biggest rival, but I agreed to meet. When I learned 9 out of their 11 restaurant locations are in London, I was curious why I had to travel so far south to Battersea Rise. Once I arrived, it became clear. This location opened just two weeks ago. Talk about a HOT invite! So far, my hostess seemed Pho real. Doesn’t this venue look gorgeous? And while I was travelling, this ‘Welcome’ tweet was posted for me. 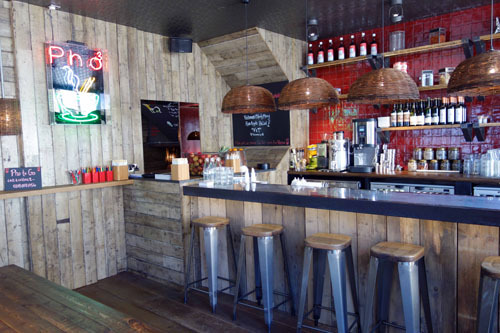 We started our afternoon with a few drinks from their beautiful bar. In honour of the warm, sunny day, I had a tropical favorite, the Dua Colada. It’s basically a Pina Colada (spirit, coconut, fresh pineapple and apple). My hostess had a Bloody Mary. I was nervous about the significance of that until I learned it’s part of their new cocktail promotion at that location. Phew! I was very impressed with my drink’s smooth flavor. 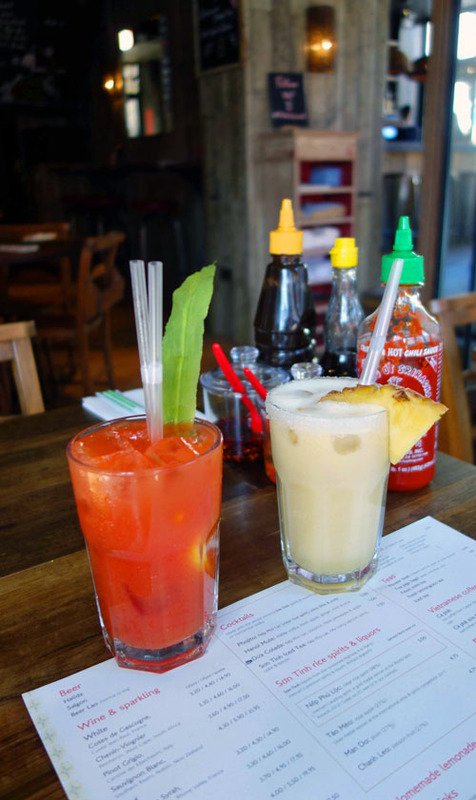 Pho Restaurant uses Nep Phu Loc, which is a clear rice spirit. Sipping on it was super easy because of its light texture. This meant another tick on the scoreboard for my hostess! We began our feast with several starters. Each dish has strong flavor and color. 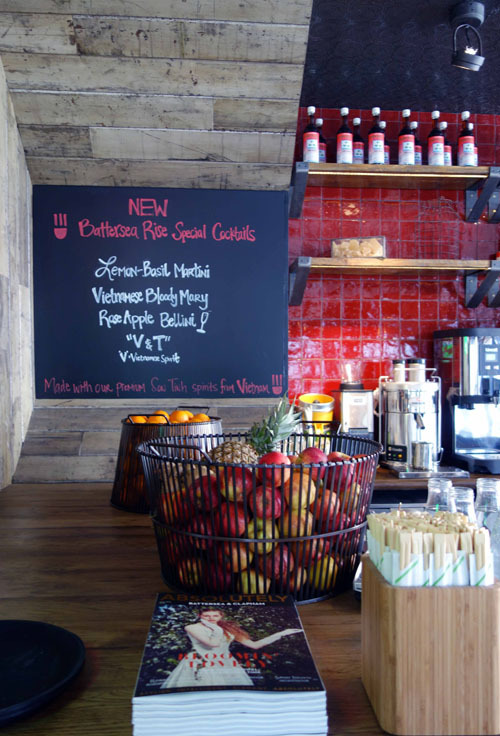 With regard to healthy eating, nearly the whole menu is gluten free! As we munched on our food, I reminded my hostess that this past year my university’s football team beat hers without mercy and won the National Championship. Unmoved, she reminded me that when she went to University of Florida, they won back-to-back National Championships in football and basketball multiple times, while crushing my team for years. Another point for her. 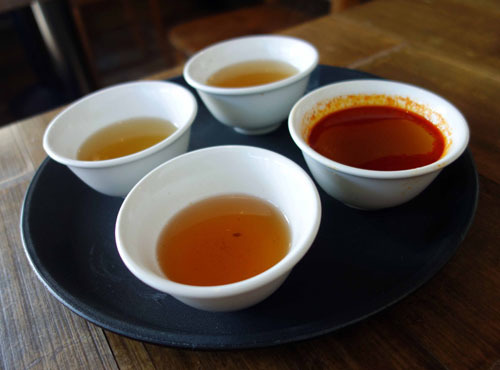 Next, we sampled each of the 4 broths used in the exquisite Pho dishes. 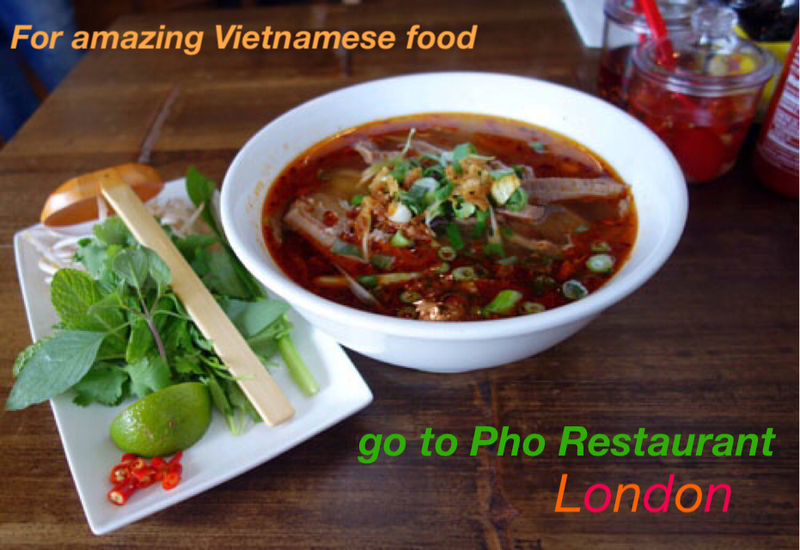 Pho is the national dish of Vietnam and the Pho menu defines it as “an aromatic, nutritious and delicious rice noodle soup served with a side plate of fresh herbs to add as you please.” Their stocks take approximately 12 hours to prepare. Sounds like pho-ever doesn’t it? My favourite was the Veggie stock. 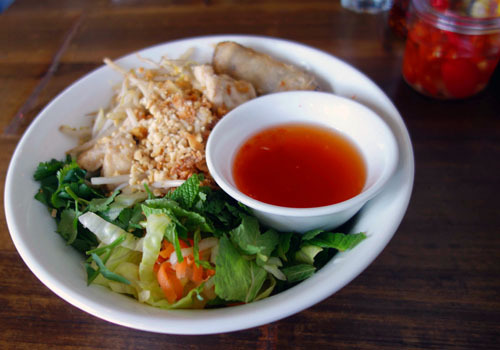 Then, we sampled a Vietnamese salad, the Goi du du. 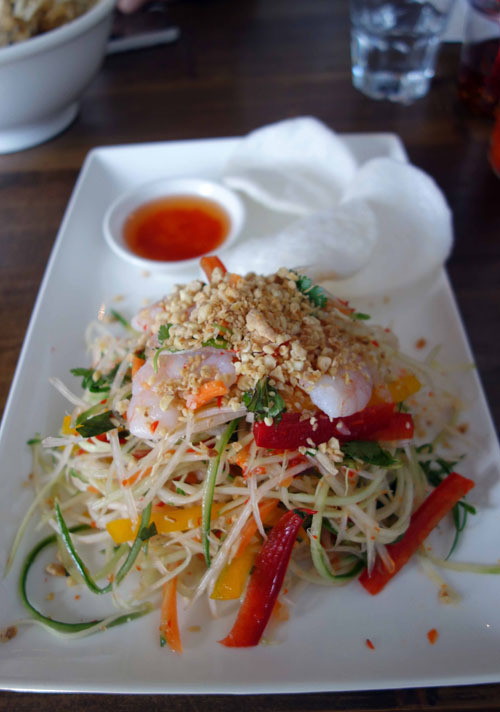 This features crunchy green papaya salad with peanuts and prawn crackers. Can you believe this rainbow of fun only has 200 calories? There was nothing light about the taste. It was Pho-licious! 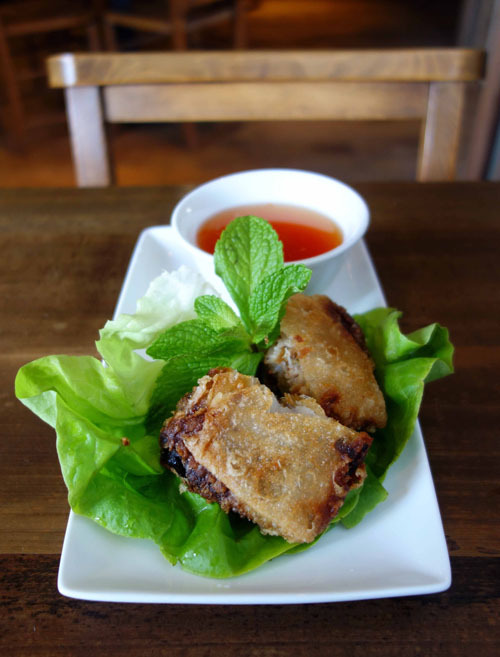 Also, we had the Bun: vermicelli noodles. Just like all the others I ate, the above entrée rocked! Then, the real test occurred. My hostess wanted me to give the ‘Bun bo hue’ a go. This hot and spicy brisket beef served with a chilli shrimp paste is a favourite for many, especially men. Hot damn! Talk about a deep flavor that settles in all the right places in your mouth. Whooooaaaa! Although after a few giant spoons full, my hostess said, “It’s probably a good idea for you to stop now.” GAME OVER. I knew that this was no foe lunch. 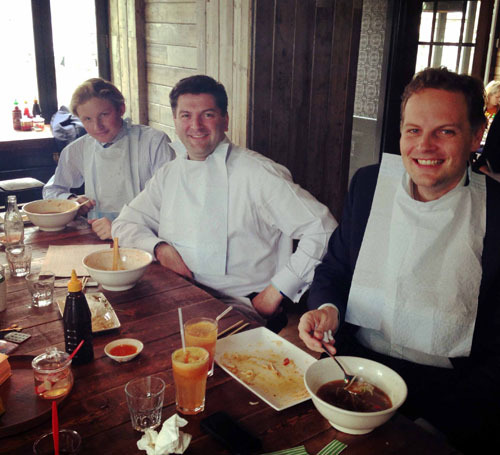 Apparently, it’s recommended that you wear a bib when eating this dish due to its splash factor. So, many thanks to my hostess for making sure I didn’t stain my beige dress that I was wearing to an awards ceremony later that evening. And, I’d like to extend an even bigger thanks to her for not giving my head a Gator chomp in the pictures she took of me either! I had a really great lunch packed with great food and…. company! 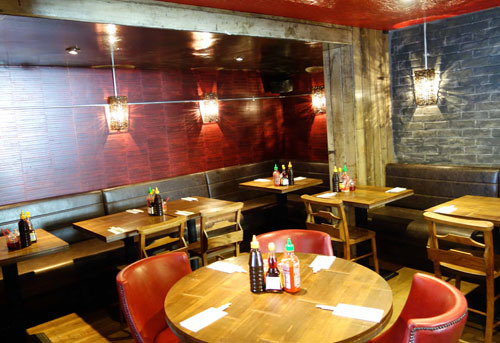 This location gets crazy crowded on evenings and weekends, and they don’t take reservations. 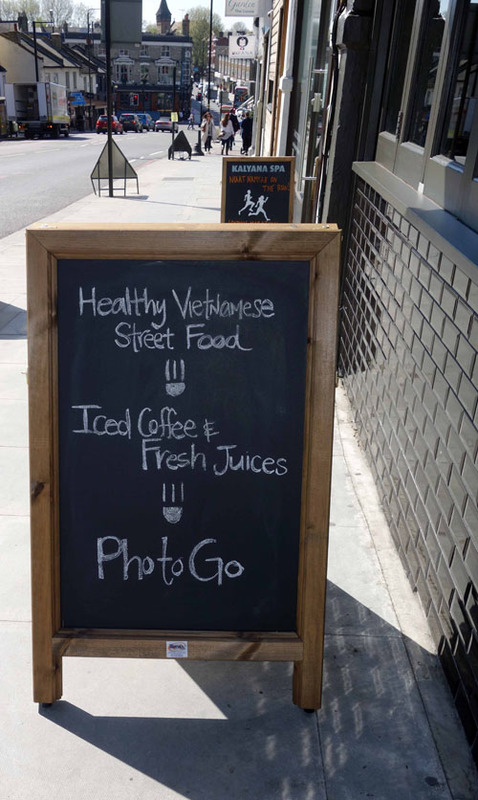 If you’re in a hurry, you can always check them out via their Pho to Go takeaway. 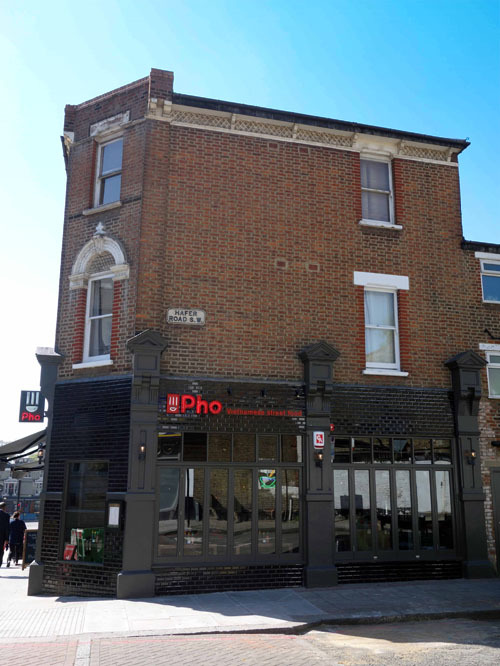 Aside from Battersea Rise, you can find Pho Restaurants in: Clerkenwell, Oxford Circus, Shepherd’s Bush, Brighton, Soho, Stratford, Spitalfields, Islington, Leeds and Chiswick. 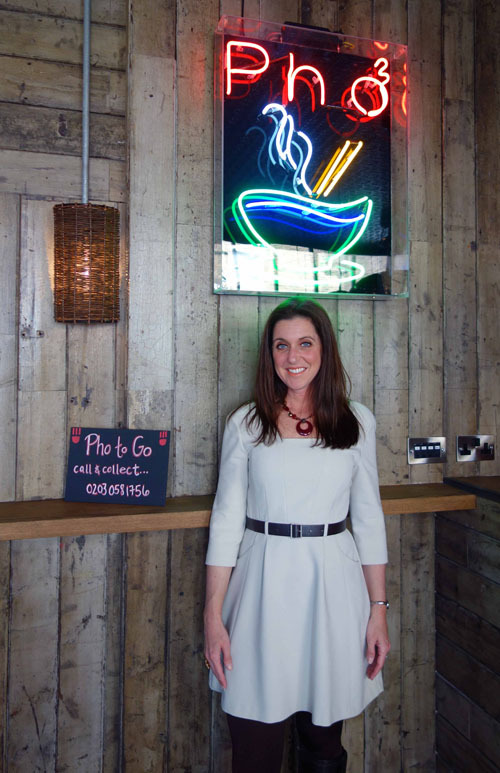 And of course, Pho mo’ fun, you can follow them on Twitter, Facebook and Instagram. So, Sunny friends, …. 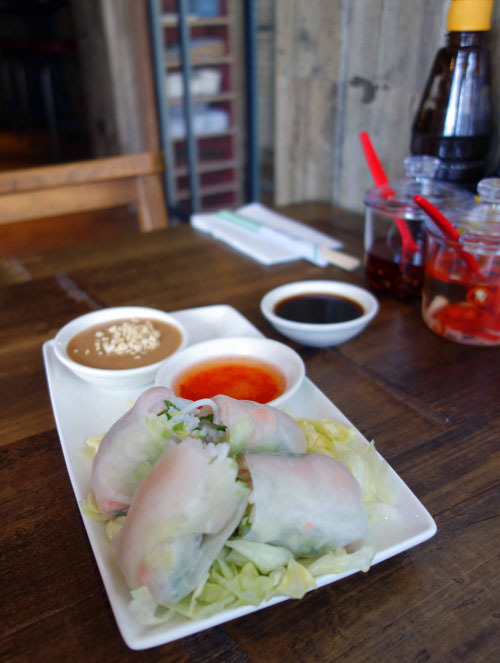 1.2.3… What you waitin’ PHO?! I love that my meal was complimentary from a Florida GATOR. I assure you it did not influence my opinion of the University of Florida. If you know anything about the rivalry between FSU and UF, you appreciate that the opinions in this review are 100% honest. Seminoles don’t dish out compliments to Gators unless they’re 100% warranted. Plus, around the corner from me – bonus! That was punny, Sophie! I honestly loved Pho and wish that location was closer to me. However, I did see one in Soho yesterday, so that was exciting. Now I’m hungry! Looks gorgeous – definitely on the list for my next trip to London! Claire, everything had strong flavor and was truly delicious. Glad it’s on your list! Yes, this one was very far for me. I live in North London. I wish there was one in my neighborhood! Oo this looks so delicious. Heading to the Islington branch this weekend. Can’t wait. My Mouth Watered just looking at these pics. This food looks amazing. Thank you for reading! This location definitely has a more striking exterior than the other locations. In fact, in Soho, it’s easy to walk right by it. I was surprised at how much food is available for the price. In addition, the flavors were beautiful and full! It sound delicious taste. Pho is my favorite vietnamese food. The food images are mouth watering.